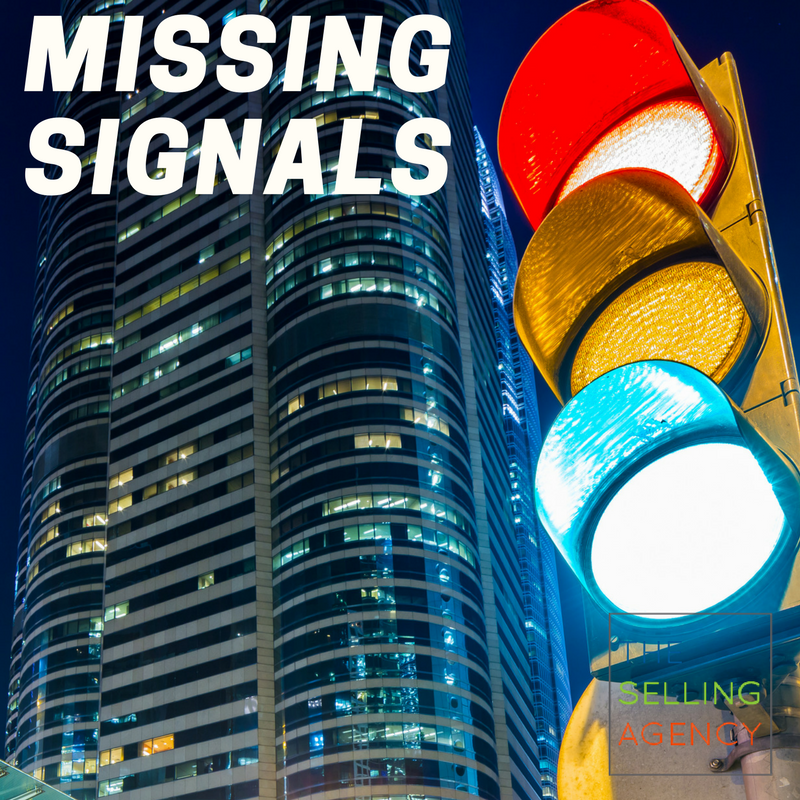 The Selling Agency Are you missing these signals? Sellers biggest mistakes on the phone! I’m following up last week’s post, The Power of Feedback with my promise to show you the BIGGEST mistakes we’ve found when coaching you on Sales Phone Calls. We use call recording as a powerful way to help sellers improve their skills. This process is incredibly effective at helping sellers recognize their own challenges and bring conscious awareness to corrections when they get back on the phone. In short, it’s wildly effective, improves results quickly, and is cost effective to be able to do it on your own. Most people though HATE THIS. 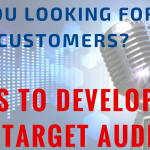 From newbie sellers, (affectionately dubbed, “Junior Woodchucks” by Inside Sales expert, Trish Bertuzzi) to seasoned pros and even the Pros to the Pros, the top experts in the sales fields – all would probably rather drop a bowling ball on their foot than record and listen to their own calls. What do I recognize as the most common issue on the phone? 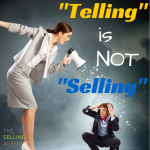 Sellers are driving right by clues, not recognizing when customers are dropping hints or telling you to read between the lines. This happens over and over again. Because of the tool – the phone. Second to in-person meetings or maybe third in line when you consider face to face conference tools such as Zoom or Skype, phone conversations give you the next best opportunity to recognize the tone, intention, and subtleties that you would in a face to face meeting. You can’t get that from email. But you can’t get it from the phone if you overlook all those cues and messages because you’re so focused on what to say next or getting a meeting on the books. Calling, especially those first cold or warm calls, can be nerve-wracking. Discovery calls, proposal review calls, and even closing calls get us geared up thinking about the outcomes we desire. Our anxiety peaks as we don’t have the benefit of being able to see how our buyers are receiving our messages or contemplating our offers. 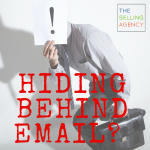 Without body language and facial cues, we’re left guessing and often times, I see sales pros plod forward past those more subtle clues buyers give you when on the phone. Signal: The Buyer hesitates to move forward and participate in the conversation. Opportunity: Instead of bulldozing over them, acknowledge their hesitation – is this the wrong time? Are they about to walk out the door? Give them the opportunity to not feel railroaded into staying on the phone but let them know when you’ll connect again. Signal: Buyer opens up and gives you details – about current issues, preferences, difficulties with previous sales reps or vendors, et cetera. Opportunity: Don’t zoom past those gold nuggets by driving right to how you could solve their problem or by explaining your offer. When someone opens up to you – that’s a gift. Don’t take it for granted! Give them the opportunity to KNOW they’ve been heard. Express how you understand and interpret what they’re sharing with you before you move on to address YOUR agenda. Signal: Buyer silence. They’ve stopped responding or interacting – all you’re getting are grunts. Opportunity: Try to re-engage rather than driving to your “ask.” If they’re silent they are either thinking or they don’t agree with something you’ve said, or, perhaps they don’t yet buy YOU and are politely waiting to get off the phone. Check in with them about where they are – not in the buying process – but in this conversation. Participate and be present in THIS conversation so you can have an opportunity to build a relationship – not just get a meeting. Signal: They ask you to explain something again or to clarify. Do they need more details? Are they comparing to their existing solution or vendor? Are they going to have to relay the info to another person? How can you help them do that? Do they have existing equipment/software/projects that your solution would complement? What would that look like? Signal: They try to wrap things up. Opportunity: Often, if you’ve had a decent conversation, our impulse is to keep talking. “Keep ‘em on the phone” has been the sales mantra for decades. However, don’t oversell in this conversation. If your customer agrees and pauses, move in to offer next steps. Avoid the temptation to keep talking and wrap it up with clear follow-up plans that you both commit to in the day, time, and meeting place. There are so many other gems we take away from most of our call sessions, such as, don’t give too much away, stop talking so fast, don’t be too casual, avoid sounding too stiff or robotic . . . But above all, these opportunities to listen to our BUYERS on the calls are key. It might be the first time you’re really, truly hearing what they’re saying and what they’re communicating to you without the pressure of thinking of how you’re going to respond next or try to get them to agree to your ask. Give it a shot. Record your calls. Even bolder, let someone else listen. I PROMISE you, this will improve your success rates on calls quicker than . . . well, doing nothing or dropping that bowling ball on your foot. PS – Need help figuring out how to record your calls or to get coaching on your efforts? Send up the bat signal and we can help.